Escape into a hidden village by the North Pole filled with captivating Christmas light displays and magical characters. Enjoy the market huts, food gardens, amusement rides, live entertainment, and plenty of other exciting activities. From visiting Santa’s Workshop to lacing up your skates on the Frozen River, there is something for every age at the Aurora Winter Festival. The festival takes place at Vancouver’s Concord Pacific Place and runs from November 23rd to December 30th. For admission prices and info visit: www.aurorawinterfestival.com. Poor Dorothy! When a pipeline bursts, Dorothy and Toto are flung to the magical Land of Oz, aka Nanaimo and Hastings. 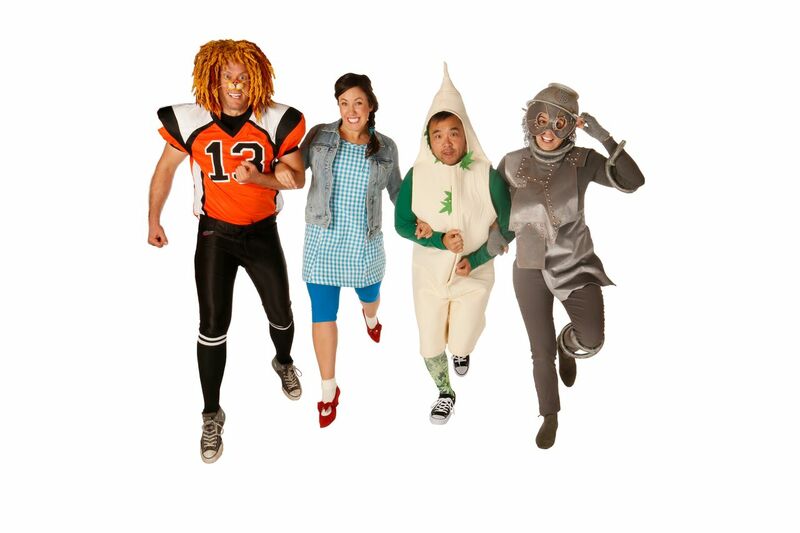 There, Dorothy is pursued by a Wicked Witch, meets a trio of new friends, and embarks on a magical journey to the World’s Greenest City in search of brains, heart, courage … and Yoga Pants! The Cultch’s East Van Panto returns for a sixth year, hosting this year’s Wizard of Oz at the York Theatre on Commercial Drive. For tickets and show info visit: https://thecultch.com/. 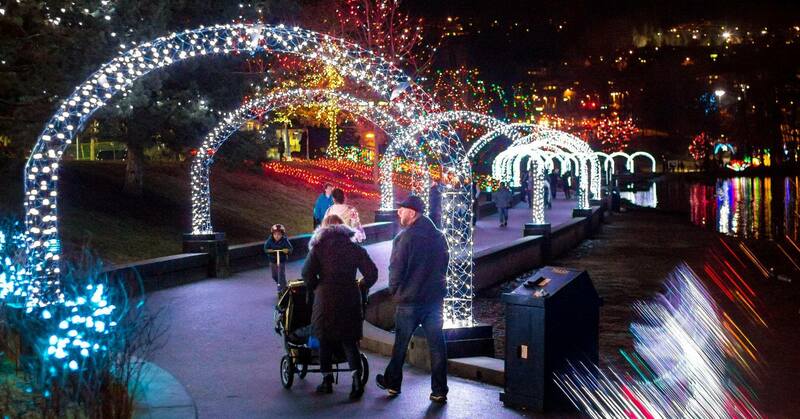 Now an annual tradition, the City of Coquitlam is hosting Lights at Lafarge, one of the largest free light displays in the Lower Mainland! A dazzling lights display in the stunning setting of Lafarge Lake in Town Centre Park all season long daily from dusk until 11pm nightly, and through mignight on New Year’s Eve, bring your family out for some hot cocoa, stroll through the lighted park, and partake in some of their festivities they host throughout the holiday season. For a schedule of events visit: https://www.coquitlam.ca/. Surrey City Orchestra presents Handel’s Messiah featuring the Kwantlen Polytechnic University Chorus. Led by Stuart Martin with soloists soprano Alison Nystrom, mezzo soprano Katie Miller, tenor Christopher Simmons, and baritone Daniel Theilmann. Join Surrey City Orchestra for a night of music, as they celebrate Christmas through Handel’s masterpiece of English Oratorio. For tickets and information visit: https://surreycityorch.brownpapertickets.com. Explore a night of tasting to celebrate the upcoming holiday season at several ‘markets’ around the city roving through a few neighborhoods from Clark Drive, to Main Street to Kitsilano. This evening tasting extravaganza is on Wednesday December 5 from 6pm until 10pm and is presented by Vancouver Foodster and Tasting Plates. For tickets, visit eventbrite.ca. In this lively Christmas classic, the six Herdman kids, or “the worst kids in the history of the world”, take over the annual Christmas pageant. Filled with mayhem and fun, this hilarious and heartwarming story is sure to be a favourite part of your holiday season! The Best Christmas Pageant Ever takes place at the Havana Theatre on Commercial Drive. For tickets and show info visit: http://nakedgoddessproductions.com. On December 9, the Universal Gospel Choir (UGC) presents The Magic of Yule with guest performers Roy & Rosemary at the Orpheum Theatre. Get ready to experience a magical evening at one of Vancouver’s most historic venues as UGC kicks off the Christmas season with their annual holiday concert, which is set to sell out quickly. Roy & Rosemary are best known for the fusion approach to blending violin and piano, and along with the UGC will be an enchanting and uplifting concert to celebrate the upcoming holiday season. Tickets available at Tickets Tonight here. City of Burnaby wants you to come out to Barnet Marine Park to watch the flotilla of carol ships sail past. This is an annual tradition in Howe Sound, with the carol ships lit up and sailing down from downtown Vancouver towards Burnaby. The ships are expected to sail by between 8:00-8:30 PM, times may vary depending on weather please come early to avoid missing the ships. Carol Ships Parade of Lights in Vancouver can be seen every Friday and Saturday night in December. Looking for great wine pairing ideas for your holiday meals? 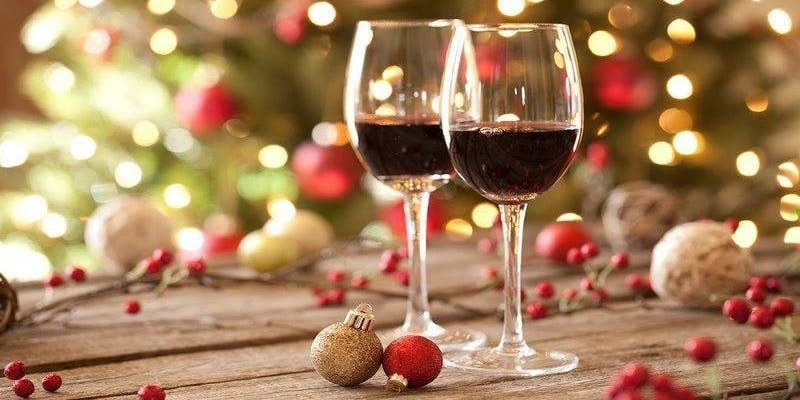 Join wine experts from Artisan Wine Shop at the Lonsdale Quay Market in North Vancouver for a fun workshop designed to help you pair wine for your Holiday meal. Taste amazing foods and appetizers from Cheshire Cheese Restaurant and Bowen Island Pizza Co. to go with select wine pairings. Don’t miss this great event – proceeds from ticket sales will benefit Aunt Leah’s Independent Lifeskills Society. Tickets for this event can be purchased through EventBrite here. The Canadian Pacific Holiday Train is celebrating its 20th anniversary with the holiday training travelling through the US and another one travelling across Canada. The CP Holiday Train will arrive and stop in Maple Ridge and Pitt Meadows on December 17th, before arriving in Port Moody on Ioco Road, behind the Port Moody Arena and Rec Centre, and then Port Coquitlam West Coast Station. At each stop, visitors will have the chance to take photos with the holiday train and listen to some festive music by the Sam Roberts Band, Kelly Prescott, Tracey Brown, and Tyson Venegas. Each event is free, with CP encouraging attendees to open their cupboards and wallets to help address hunger needs in their communities. Local food banks will be accepting donations at each stop to ensure those less fortunate have enough healthy food this holiday season. 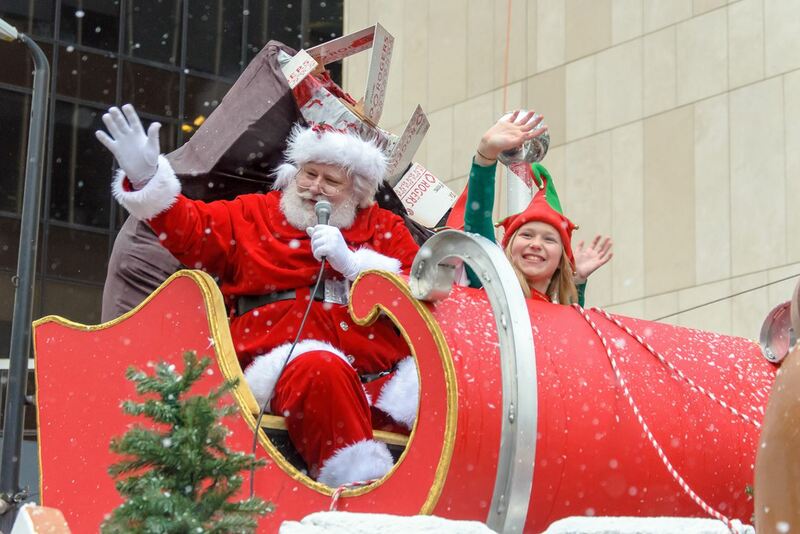 Follow the holiday train online here. Step into a magical winter wonderland at the Anvil Centre, The venue will be filled with a cornucopia of entertainment for everyone – from choirs, singalongs, art installations, musical performances, arts and crafts to a hip-hop dance party and a wintry labyrinth to enjoy. The Anvil Centre will come alive with joyous sounds and displays. All events on the main level of the Anvil Centre are free, but tickets are required for events taking place in the theatre which can be purchased at ticketsnw.ca For a complete schedule, visit anvilcentre.com.